I have been making raw milk kefir in place of the SCD yogurt mainly because of simplicity and wanting to get the extra benefits of raw milk. I tried making raw milk yogurt a few times and it just wasn’t as good as the usual SCD yogurt (milk warmed up to 180 first). I do make the SCD yogurt every now and then with sheep milk as a treat. 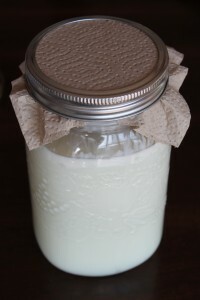 For making kefir, the process is pretty simple once you have your kefir grains and some milk. Pour milk into a jar. Add about 2 tbsp of kefir grains per liter of milk using a wooden spoon. In the photo above, I put two chunks of that size for 1 liter. Stir gently. Cover the jar with a cloth or paper towel, secured in place by a mason jar ring or elastic band (see pic below). Keep the jar on the counter for 12 hours. Remove the kefir grains using a wooden spoon. Leave the jar of half fermented kefir on the counter for another 12 hours (for 24 hours total) covered with cloth. After fermenting, cover the jar with a lid and place in the fridge. Store the kefir grains in a small jar of milk, in the fridge for up to a week. You can freeze them in milk as well to keep for longer periods. I just keep mine in the fridge and give them fresh milk and a gentle stir once every week or so. If you want your kefir grains to multiply quickly, keep the grains on the counter either making continuous batches of kefir or just supplying new milk to them every couple days. Kefir grains are sensitive to metal so don’t use metal spoons, bowls, or strainers. I use glass jars and wooden spoons when handling them. I found kefir grains by contacting my local Weston A Price Foundation chapter and asking chapter members if anyone had some to share. You can also check local classified ads or ask around at farmers markets. Kefir will ferment a bit faster in warmer temperatures, but doesn’t require a source of heat like yogurt does. In the winter, I place my jar on the top of the fridge or close to the stove so it gets a bit of extra heat. Some people use a plastic strainer and rinse kefir grains under water. I found this step unnecessary as long as I give the milk a gentle stir once the grains are added. I find kefir is best used within a week. If kept longer, it will very slowly keep fermenting until it’s quite strong. On SCD this is considered an advanced food but I wish I had tried it sooner. I found it does help with carbohydrate tolerance and Candida symptoms. It’s worth trying after a couple months on SCD just start very slowly with a spoonful at first and increase the dose from there. I flavour mine just like yogurt, with honey and berries. @alea@myrealfoodlife Let me know if you need some kefir grains, I have extra! Hi Kat.I’m kinda new to SCD. A few months in. I’ve been doing the yogurt but my son is still having flares (Crohns). I want to make Kefir but dont know where to get grains. Can you help? does this do for the kefir? 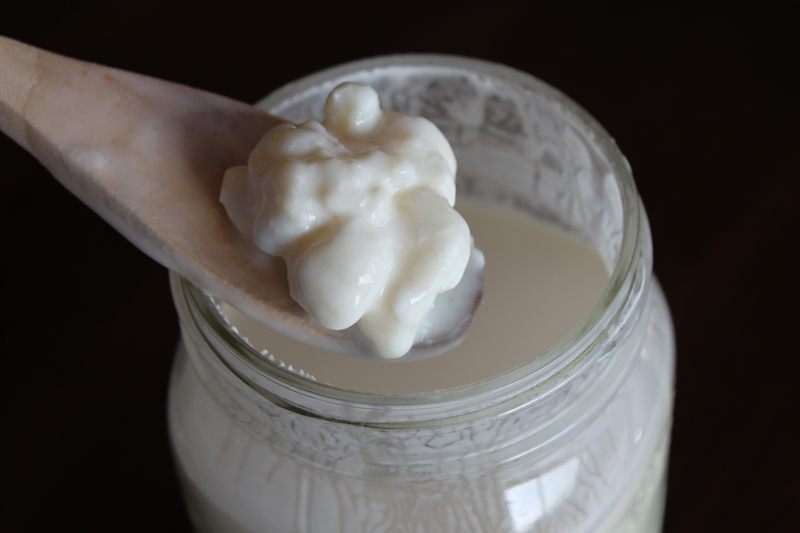 I have been making Kefir milk for 4 months now – love it! We use it in smoothies every day, but I recently discovered, it is fabulous to marinate chicken in, and adding it to free range hamburger meat makes the most delicious moist burgers we have ever had! To die for! @Bea I read about that technique on the GAPS boards I think. I found that leaving grains in for 24 hours made it too strong, but only leaving it out for 12 hours wasn’t enough. Reducing the amount of grains didn’t seem to work as well as just having the grains in 12 hours then leaving it out another 12 hours. It’s all personal preference really. @Ina Gawne I have never tried using it as a marinade or adding it to meat, I will definitely give that a try. Thanks! I was just wondering how much kefir do you drink in a day? Do you drink it first thing in the morning or at night? I have been making it and using it in smoothies so that my family will drink the kefir. I like the taste and don’t mind the sour favor. Marinating meat sounds like a wonderful idea but then you do kill the benefical bacteria. Thanks. We kefir both sugar water, and raw milk from local grass fed guernsey cows. Each type has its own symbiotic community of bacteria and yeast (SCOBY) and we keep them completely separated. We harvest three pints of milk kefir a day for our personal consumption. We ferment the milk with the SCOBYs for 48 hours because we like the extra pucker & silky texture. We set the fresh milk out to warm up either over night or at least a few hours before harvesting when we move the SCOBYs to the new milk – SCOBYs like it toasty :). We cover the kefir solutions with some flour cloth. The SCOBY to milk ratio is 1 pint of galactic SCOBY to 3 pints of fresh raw milk into a wide mouth half gallon jar. I started out with a much leaner mixture of SCOBYs, but when they are happy, they multiply. A lot. They put rabbits to shame. We ferment 2 half gallon jars of milk kefir at the same time, but one jar will be a day ahead of the other. We use a yellow and a red rubber band to distinguish them. When we are ready to harvest we promote the bands. The yellow band goes to the fresh milk, the red band to the jar that formerly had the yellow band. The jar without the band gets harvested. We stir the kefiring milk every 8-12 hours. This releases the gas build up and keeps the SCOBYs in contact with new milk. (In traditional cultures, the kefiring milk ferments in a goat skin bag that hangs in the front porch. When people come into the house, they wrap the bag with the back of their hands or their knuckles to keep the solution stirred). I NEVER use metal with any ferment, so we use a wooden spatula for stirring and scraping. During morning harvest, we use a seed bag used for sprouting to separate the SCOBYs from the finished kefir beverage. The weave of the bag is the perfect size to keep the SCOBYs in and to let the product out. (I think the SCOBYs might be female, because they seem to like to be squeezed and they have a little squeal). We use the same bag harvest both milk & sugar kefirs. The kefir is squeezed out into a large glass mixing bowl. The SCOBYs are transferred to the jar of new milk. After the harvest, we pour the fresh milk kefir into a wide mouth quart jar and into 2 beverage glasses. We set the quart jar under the flour cloth between the kefiring milk jars. We polish the contents of the quart jar off throughout the day and perhaps add some to our ice cream mix. If we do have leftover kefir (seldom), the jar is capped and refrigerated. The kefir in the glasses is our breakfast, to be followed a few hours later with brunch. The kefir breakfast is just enough to take the edge off of our appetites and to get in a few hours of work before brunch. Because the kefir is a little tart, Mrs. Noob likes to sweeten her kefir with a few squirts of Sweetleaf flavored stevia. I am partial to cacao nibs (something about sour & bitter together), but like to add some flavoring or liquor in the evening. Anyway, thats my milk kefir story. Learn to ferment your own beverages and make it yourself – The struggle for reclaim our freedom begins in the kitchen. Thanks for the great article. I am intolerant to casein, but really want to try coconut milk kefir. I know that water kefir grains don’t work with coconut milk, so I would have to use dairy grains. I am reluctant to purchase the dairy grains, not knowing if I can tolerate them. My local health food store has a kefir mix that is dairy based and I am thinking about trying it. Has anyone had luck making coconut milk kefir while having a casein sensitivity? Can I make this with pasteurized milk? Haven’t been able to switch to raw milk yet. @Karen I drink about 1-2 cups most days, sometimes more! @Pavil, the Uber Noob Thanks for sharing your experiences! I want to try kefir ice cream sometime. @Gina You can make it with water kefir grains but you need to feed them sugar after each batch. That’s the way I hear of people making it who have severe dairy intolerance. I think the dairy grains would be the same as the dairy based mix, so if you are very sensitive you might not want to try that. @Anna Caltagirone You can definitely make it with pasteurized milk, but ultra-high-temperature (UHT) milk would not work. Hi Kat. So do you just drink you’re kefir straight? I’ve never been a bit milk drinker, so I sometimes find it hard to drink the kefir straight so I always just mix it with things. @Health Food Lover I eat it like I do yogurt, with berries and honey. I guess it’s liquid so it’s drinkable, but I eat it with a spoon. Hi Kat. What’s your opinion on the SCD-legality of the way you prepare kefir? I know you eat raw cream which is supposedly lactose free, but what about the lactose remaining in your kefir? I’ve tried making kefir the way they say to remove all the lactose (the 2 ways I’ve read are 1) to ferment for 24 hours then remove the grains and ferment on the countertop for an additional 24 hours, and 2) ferment with the grains for a full 48 hours). But this kefir is super alcoholic and sour and doesn’t stay kefir (it separates and stays separated). 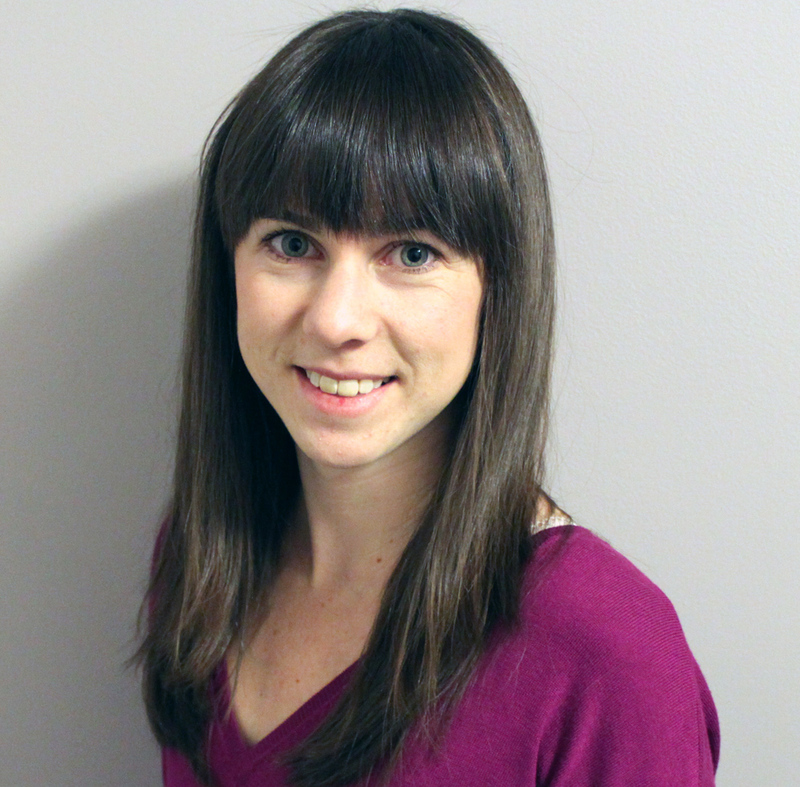 I’ve been on the SCD for a year and a half (for Crohn’s since 1999) and have not had the results I’ve been hoping for. At all. In fact, I’m currently in a really bad place. Oh and I almost forgot! The problem with dairy is not just the sugar but the Casein protein. When you have a damaged gut this protein binds with other molecules and can cause a lot of problems, especially when it gets into the bloodstream undigested. Eliminate the pathogens and re populate with beneficial flora before re introducing any dairy. Homemade sauerkraut is the best pro biotic and very easy to make. @Caroline The way I make it it does end up fairly thick and I can assume it would drip well just like yogurt. If you’re worried about the lactose, try dripping your kefir and that will remove more of the lactose. Dripping seems to be more effective than fermentation time anyway and is what Dr Haas always recommended. I never liked the 24-48 hour fermentation kefir. I would definitely try kefir if you haven’t had success yet. Also if you can get raw milk, that is in my experience much better than pasteurized. Another thing to consider trying that is not really “SCD” is vegetable juicing.